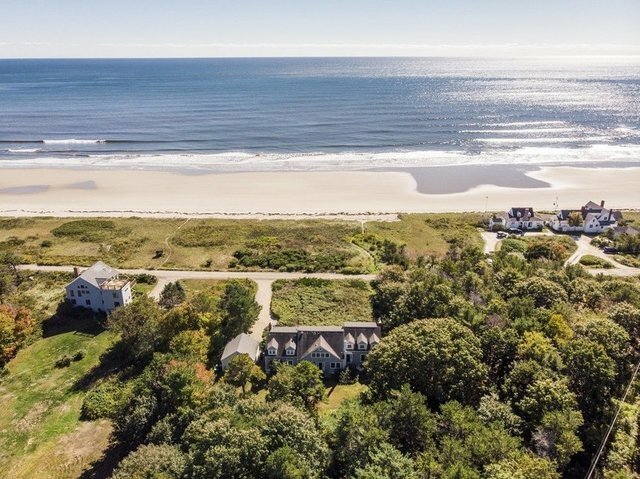 Step on to the sandy beach with ocean frontage on this property that stretches back over 3 acres to a tidal creek. Both water bodies embraces this 4019 sq foot home with 8 bedrooms and 5.5 baths. Many living and entertaining options for family and friends abound with 2 kitchens, 4 wood burning fire places, patios, deck, and a variety of living spaces with acres of privacy for pastoral relaxation and recreation. This home offers a variety of opportunities for the new owner to update and renovate to their needs. All of this sequestered away on a quiet private road with an easy drive to Kennebunkport with its many restaurants and amenities. An offering such as this is rarely available.